Mineral Rights, Exploration and Mining | Fryberger, Buchanan, Smith & Frederick, P.A. Mineral rights and mineral exploration remain in the news in northeastern Minnesota. The emerging green economy has created huge demand for metals such as copper, nickel and platinum. Therefore, a public announcement of doubled earlier estimates regarding the quantity of such metals in areas around Ely is encouraging. Further, the Minnesota Department of Natural Resources’ recently approved new exploratory mineral leases. Mineral exploration and plans for environmentally responsible modern mining continue to move forward. It is an exciting time. This article will give you a general background regarding mineral rights law and mining, while also briefly discussing recent newsworthy developments related to the subject. First, a landowner’s ownership of surface rights does not necessarily mean that the landowner owns mineral rights. At the root of this fact is a doctrine called “Severance.” Severance is the separation of the ownership of minerals from the ownership of surface rights. Severance can occur through a land transfer and deed language. As the name suggests, severance occurs through a conveyance of only minerals, or by a conveyance of surface rights with a reservation of mineral rights. After severance, the surface rights and minerals are held by separate title. The mineral rights become a type of real property that may be sold, transferred or inherited independent of a surface estate. Unless excluded in the severing deed language, the holder of a mineral estate maintains a right to use the surface lands as may be reasonably needed to reach and remove any of the reserved minerals. This gives a holder of a mineral estate a right to enter the land, explore for minerals that may exist on the land, and ultimately mine any minerals that are discovered. However, so called “entry rights” are tempered by legal doctrine that gives the holder of the surface estate a right to compensation for damage that may occur through mining and exploration. A lease between the surface owner and the mineral owner will typically deal with the specifics of such compensation. The majority of Minnesota mineral rights are privately held, either by individuals or businesses. The federal government also holds a significant amount of mineral rights. However, the State is still the largest single owner of mineral rights. How did the State obtain mineral rights? State and local governments have no inherent sovereign claim to mineral rights that fall within their jurisdiction. However, in the early 20th century, the legislature determined that the State would reserve “for its own use all the iron, coal, copper, gold, and other valuable minerals…” in or on the lands belonging to the State. See Minn. Stat. § 93.01. The legislature also determined that the State would reserve any “right, title or interest in or to any iron, coal, copper, gold, or other valuable minerals” on or in the land when such State land is sold, granted, conveyed or transferred. See Minn. Stat. § 93.02. The legislature’s reservation of mineral rights means that the State owns rights to more minerals than surface rights. What is the State to do with the mineral rights that it owns? The Minnesota legislature determined that it is the “policy of the State to provide for the diversification of the State’s mineral economy through long-term support of mineral exploration, evaluation, environmental research, development, production, and commercialization.” See Minn. Stat. § 93.001. The State manages its interests for the benefit of school and university trust funds, local taxing districts and the State’s general fund. The DNR Division of Lands and Minerals manages the State’s mineral rights. The DNR holds mineral rights for public and private parcels. The DNR has the right to lease most of the State owned mineral rights. See generally Minn. Stat. § 93.14. The rules governing the DNR leases provide that the leases be designed to “…promote and regulate exploration for, mining, and removing ores that are primarily valuable for their metallic minerals content…” See Minn. Rules 6125.0100. Therefore, the DNR is charged with promoting mineral exploration and mining development through its leases. The DNR holds annual auctions for State owned mineral rights leases. The winning bidders pay the State an annual fee during minerals exploration. As part of the lease agreement, if actual mining occurs, the mining company also pays a per ton royalty to the State on any minerals mined. As long as the mining company complies with the terms of the lease, it obtains exclusive mineral rights related to the subject parcel for 50 years. Ultimately, the State receives royalties if minerals are mined from State owned interests. As mentioned above, such royalties are used to benefit education funds. Therefore, not only does expanded mining benefit the economy through hundreds of new jobs, but it also benefits education. Any lease bid that covers 160 or more acres of land must be approved by Minnesota’s Executive Council. The Executive Council generally meets four times a year to make decisions related to State real estate, including mineral concerns. The Executive Council is made up of the State’s top elected officials, including the Governor, Secretary of State, Lieutenant Governor, Attorney General and Auditor. In 2011, the Executive Council delayed approval of 77 of the winning minerals leases. Instead, the Council returned the leases to the DNR. This was a rare occurrence. The delay was to provide additional information to the public about the workings of mineral rights, leasing and the permit process. This year, the Executive Council held a special meeting on May 31st to consider the 77 previously unapproved mineral exploration leases. The Council ultimately approved the leases. Approval opens the door for exploration of potentially valuable mineral deposits. Exploration and location are the first steps towards actual mining. Importantly, public input and environmental review occurs before permitting. An environmental impact Statement (EIS) must be conducted for all new mining operations in Minnesota. An EIS is an analytical analysis that describes the proposed action in detail, analyzes its significant environmental impacts, discusses appropriate alternatives to the action and possible impacts, and explores the methods by which adverse environmental impacts of an action could be mitigated. See Minn. Stat. § 116D.04. Environmental review also allows opportunity for public input related to the proposed project. There are mandatory public meetings, notice of draft EIS documents and notice of a final EIS. Mining can begin only after all of the regulatory hurdles are cleared. This is an exciting time for Minnesota mining. Mineral discoveries and new technologies mean that mining will occur in an efficient and environmentally responsible way. Expanded minerals exploration will provide economic benefits by adding jobs and providing royalties for the State. Mineral estates and mineral exploration will remain an important driving force behind Minnesota’s economy, and provide valuable support for our education system. 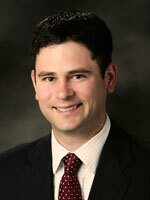 Matt Hanka is an attorney at the law firm of Fryberger, Buchanan, Smith and Frederick, P.A. concentrating his practice in the areas of civil litigation, construction, land use and administrative law. Matt can be reached at (218) 725-6815.